Non Shedding Dog Breeds - Which Breeds Shed Least Hair? Non shedding dog breeds, or more accurately, low shedding dogs are perfect people that have better things to do with their time than vacuum pet hairs off carpet and upholstery. Need I mention dog hair on your best outfit? It always shows up! These breeds can also be good for those of you with allergies. However, most dog allergies are caused by the dander and not the shed hair. READ ON to discover 29 non-shedding dog breeds! Dander consists of the dead skin cells that fall off the pet and accumulate in the air and settle on surfaces that the dog touches. 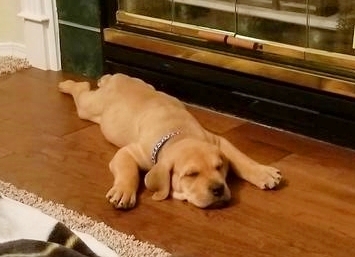 These dead cells are produced by all dogs, but some breeds, especially those that do not shed as profusely will create less dander making them a decent choice for allergy sufferers. Less shedding also means that less hair can intermingle with dust, making the home seem cleaner. 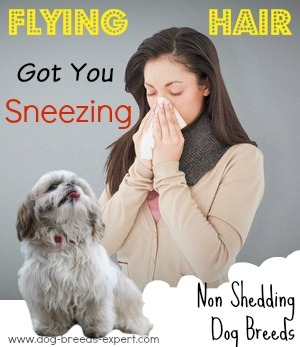 Even if you don’t suffer from allergies, a dog that doesn’t shed is going to create less mess. The only caveat is that those that don’t shed will still lose some hairs. This loose hair ends up getting tangled in the dog's coat if not brushed frequently. While not all low shedding or non shedding dog breeds have long coats, many of them do, so what time you save slaving over vacuum duties and lint removal from clothes, you’ll make up for it with brushing. 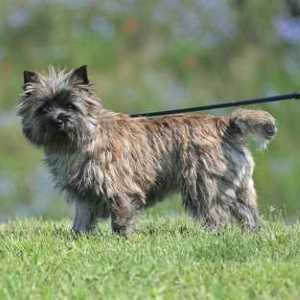 Some low shedding / non shedding dog breeds have wire coats--these are those thick, harsh hairs, often waterproof that you see on many of the terrier breeds. Still other low-shedders have little or no hair at all. Keep in mind that there is no such thing as a completely non shedding dog, but the list below includes all those breeds that are low-shedders. 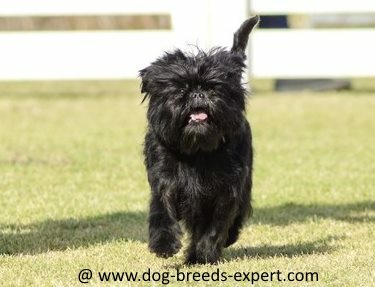 That scruffy look is part of his charm, but the Affenpinscher still needs brushing and professional grooming about every three months. This energetic breed has a harsh double coat and needs brushing at least 2 to 3 times a week. To keep them in a show coat condition, they will need monthly trimming and stripping. 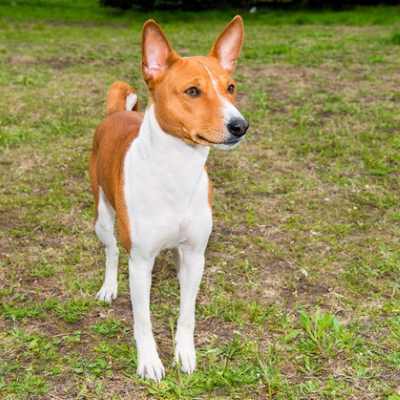 Here’s an easy low shedding dog – brush once a week and let the Basenji do the rest: Many say they’re more like a cat grooming themselves than a dog. 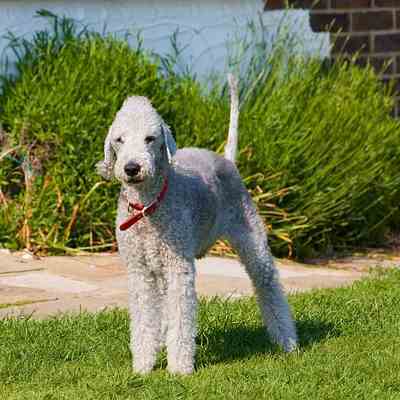 To keep the Bedlington looking like a lamb, a daily brushing is needed and professional grooming is required at least every couple of months. These silky, fine, fluffy coats will challenge your grooming skills. 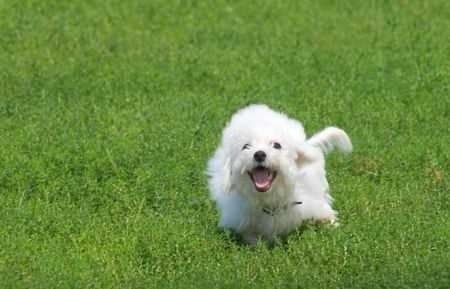 Plan on brushing a Bichon Frise daily and having a professional groomer trim every couple of months. They look like Yorkshire Terriers with a twist--they have unique colors, however, they are a distinct breed. 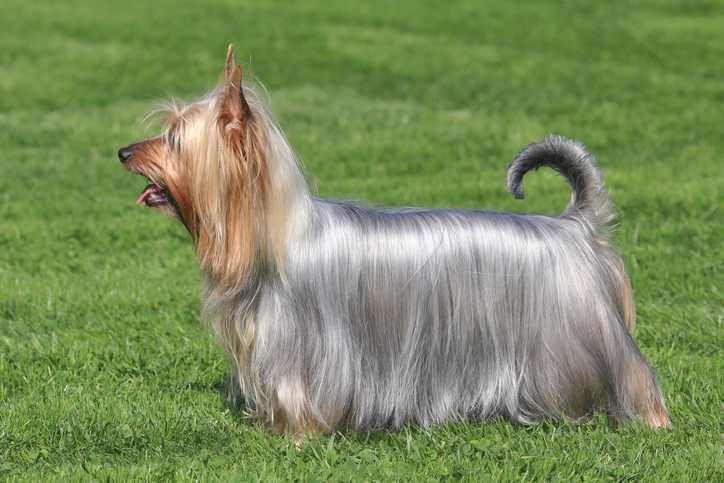 Their long silky hair requires the same amount of care as the Yorkie and may need professional grooming if a puppy cut is desired. Weekly brushings with these dogs and a twice-year professional stripping will be necessary to keep them looking their best. 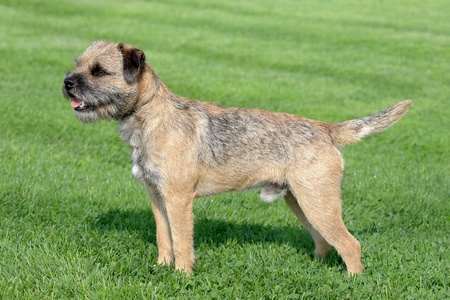 The dense undercoat of the Border Terrier keeps them warm and their harsh outer coat keeps them dry, but without the maintenance, their warm raincoat might not work. These dogs come in two different varieties, smooth and rough and both coat types are easy to maintain and shedding is not much of a problem. A quick comb out once a week may be all that is necessary for non-show coats. 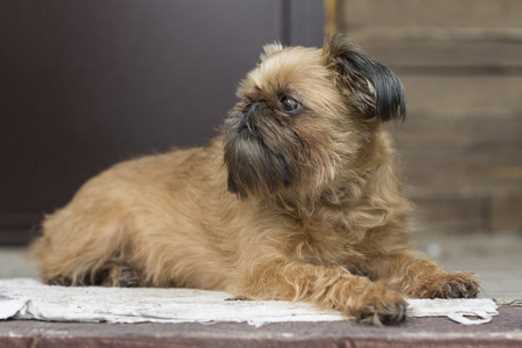 Brussels Griffon dogs that are shown need more work. Harsh and Shaggy, these dogs require twice a week brushing or combing and a twice yearly professional grooming that includes stripping. 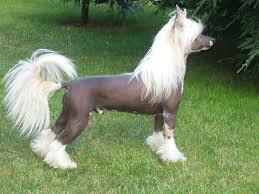 The Powderpuff variety of Chinese Crested needs brushing, but the Hairless needs more skin care than hair care. Both shed very little. 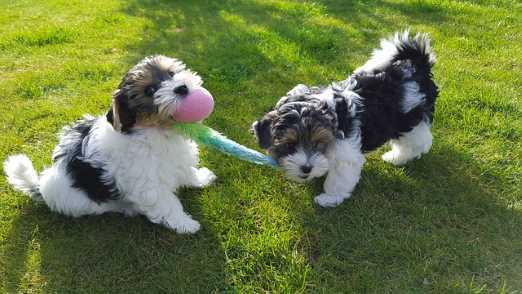 With the texture of cotton, these dogs don’t shed much but a daily brushing might be needed to prevent mats and tangles. 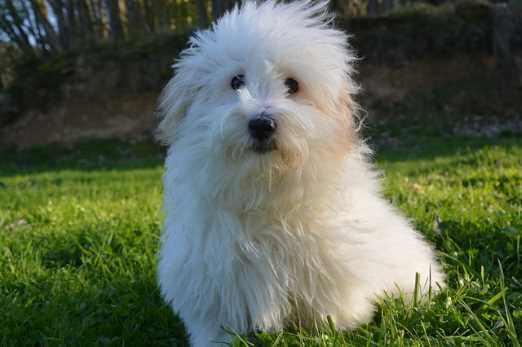 Professional grooming is recommended because like their cousins the Maltese, Bolognese, and Bichon, hair continues to grow. These dogs could have one of three different coat types: smooth (little grooming required) long (brushing needed) and wire (twice yearly stripping). 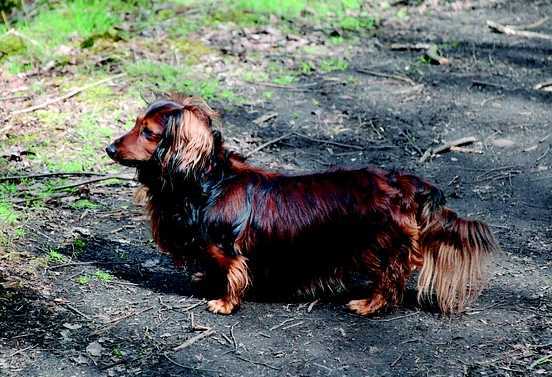 All varieties of Dachshund are low shedding. 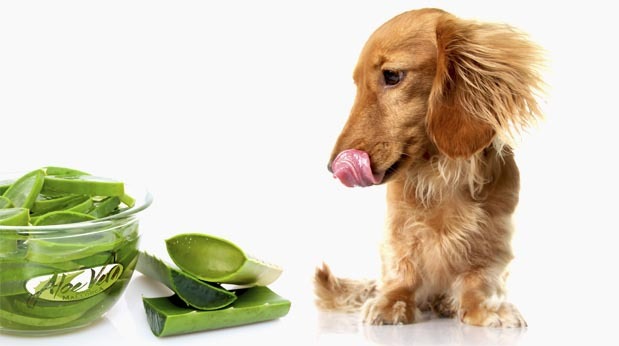 These dogs will necessitate regular brushing and professional periodical grooming, even for the pet dog. They have a rough coat with a silky topknot giving them a unique appearance. 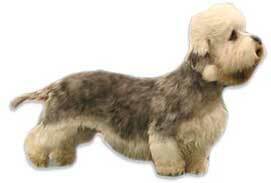 To read more about non shedding dog breeds, go to page 2! Click on "2" to go to the next page.